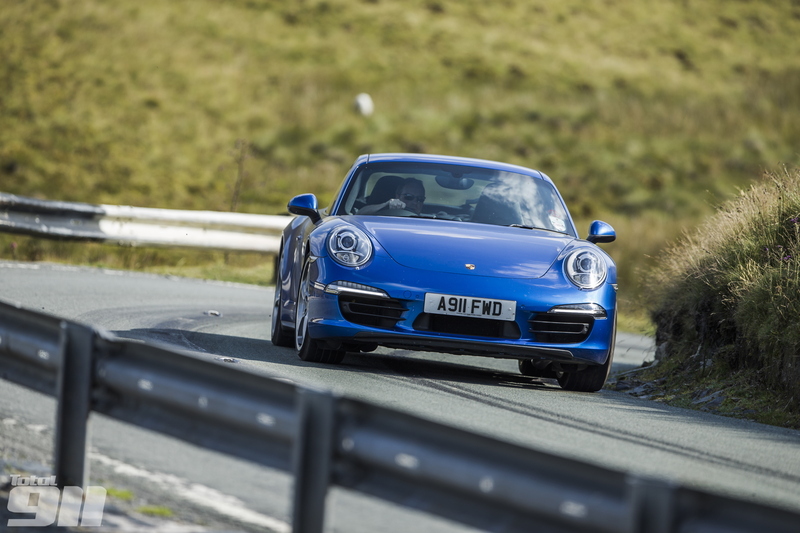 Issue 118 is full of incredible features, but the 991 supertest that saw us take all three 991 Carrera body styles to Wales for two days of driving nirvana stands out photographically thanks to snapper, Ali Cusick’s stunning shots. Organised with military precision by editor, Lee, the entire trip ran like clockwork, with a trio of Sapphire Blue beauties accompanied by perfect weather. Hopefully these 11 awesome shots whet your appetite to read the full feature, available in store and online now. Alternatively, you can download issue 118 straight to your digital device for an instant Porsche hit. An eye for detail never goes amiss, even at speed. Once into North Wales, the fun really began on some beguiling stretches of road. …though the Targa doesn’t fall too far behind in the dynamics stakes. Our shoot went well into the evening on the first day, as dusk set over the hills of Snowdonia. The next morning, there were more tests to carry out, and more tarmac to explore. The Welsh weather proved conducive to plenty of open-top driving. Deep in conversation, the Total 911 team discusses our opinions ahead of some much needed lunch. Our backdrops always proved stunning.